A vacant property does not mean less work for the property manager. In fact, sometimes it can add even more stress with extra property safety and maintenance items to consider. Follow these tips for a safer and more hassle-free property vacancy. Vacant and abandoned properties are open invitations to criminals, vandals, squatters, trespassers, fires, rats and illegal activities. They can also be intriguing (and dangerous) to children. In addition to their threat to community health and safety, they can also send a bad message: abandonment, disorder and a lowering of neighborhood standards. Of course, not all vacant properties become that way on purpose. Some run into a bout of hard luck, including foreclosures, court proceedings, estate settlements or heirs who don’t quite know what to do with them. However, no matter what the backstory may be, a vacant or abandoned building is usually not a welcome sight (or site). The longer a property remains vacant, the more difficult it becomes to gain new tenants or owners, and the more expensive it becomes to keep the property value high. If the renovation costs exceed the falling property value, it can begin an irreversible fall, taking all the surrounding properties with it. Most people know a vacant or abandoned property when they see one, but even the U.S. Census Bureau has a hard time defining it. Their definition includes newly constructed units that have not yet been occupied. This does not include abandoned buildings. Vacant industrial properties (also known as brownfields) may have particular complications of redevelopment and clean-up associated with potential contamination on those properties. Click here to learn more about how to protect yourself as a property manager on any type of property. Make it look like someone is there. Use smart window shades and/or lighting that work on timers. Even fake TV and radio sounds within residential properties can reduce the likelihood of burglars or squatters. Park your car (or an associate’s car) in the driveway or in front of the property on frequent occasions. Don’t let the mail pile up -- especially junk mail and flyers. Outdoor lights can include motion sensors that flick on when unwelcome visitors are on the premises. They can also make the property look and feel like someone is still there. Make sure the grass is mowed and the trees and bushes are trimmed. If a property looks abandoned on the outside, it will be assumed that it is vacant on the inside. Just because the property is vacated doesn’t mean you should abandon it. Schedule periodic checks and inspections so that the property’s maintenance remains solid until it is in use again. This also gives you the opportunity to prevent or confront problems at the very start, before they fester and become real safety hazards. Keep in touch with neighboring properties. Those nearby your property will respect you if you care enough to show concern for it, even if you are not there. Give out your phone number for faster notification if there is trouble. If there is a nearby neighborhood watch, make sure to sign up. As soon as a property becomes vacant, change the locks and inspect the property. If the building remains vacant for an extended period of time, as part of your inspection, look for signs of life that shouldn’t be there: broken or open windows, food crumbs, ants, trash, sleeping bags, clogged toilets or sinks. In many cases, if someone is harmed or injured on a vacant property, the finger could still point back to you. Stay in touch with your insurance provider and prove to them that you are still conducting your property management responsibilities while the property remains vacant. Ask about unoccupied property insurance. Install emergency communications and monitoring devices. If you or someone in the area happens upon trouble in or near your vacant building, make sure that help is just a call button away. 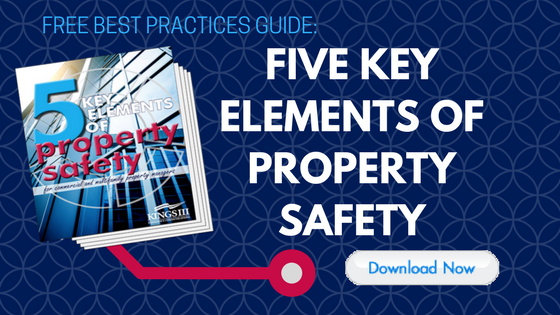 In some areas, such as elevators or pools (depending on the state you are in), these are required, so it is an essential aspect of keeping your building code compliant, even during its time of vacancy. Furthermore, a property that readily appears safe and offers means to help is less likely to stay vacant for long. Emergency communications solutions employ dedicated, trained staff that can get you the help you need 24/7/365. Kings III emergency operators are trained in a higher level of certification than is often required in 911 emergency response centers, preparing them to respond to any emergency call, and can provide aid to callers in over 175 languages. Keep your emergency contact information constantly updated. Always have the most up-to-date contact information for your emergency call list. Our account information update form lets Kings III customers take care of this ahead of time. 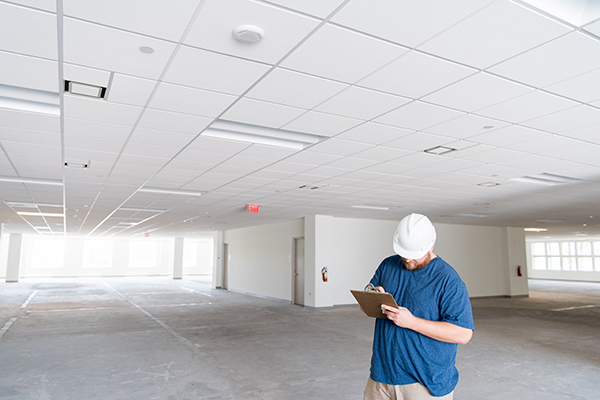 Managing a vacant property can often be stressful but taking precautions like these can make a huge difference in keeping the building safe and appealing until it is once again occupied. To learn more about how Kings III can increase the safety and value of your facility, visit www.kingsiii.com.